In the previous blog Olof wrote about how we visually built the game environments of Lumini. If you missed it, you can read it here. The last time I wrote a blog for Lumini was more than a year ago about the overall Game Art. This time I will talk about the environmental storytelling of Lumini. Most games tell the story of their game through text, cinematic, cut scenes or voice overs, but Lumini’s way of storytelling is entirely visual, supported by the atmospheric music. Where other games will take away your control, the player is always in control when playing Lumini. The environments visually explain what’s happened in the world, without ever taking away your control and the flow we envision for the Lumini experience. We first made an emotional curve which determines what kind of emotional ups and downs we want the player to have throughout the game. This is our guideline to what kind of narrative locations and events we want to produce, it also affects what kind of gameplay challenges the player might face. Gameplay and narrative are interlinked in the game by what kind of emotions we want to evoke from the player. After we made the emotional curve, we would further progress by making panoramas for environments as to how the game proceeds. These panoramas helped us find the right kind of atmosphere for each location in the game and to get an idea of the kind of game assets we needed to make. The world of the Lumini is an alien planet, however, we wanted the player to be able to relate to the Lumini and their story, so we didn’t make the world too alien, or otherwise oddly. As you will find out when playing the game, the story of Lumini tells us about how we relate to our own world, as the Lumini relate to theirs. This environment looks soft, energetic and alive. 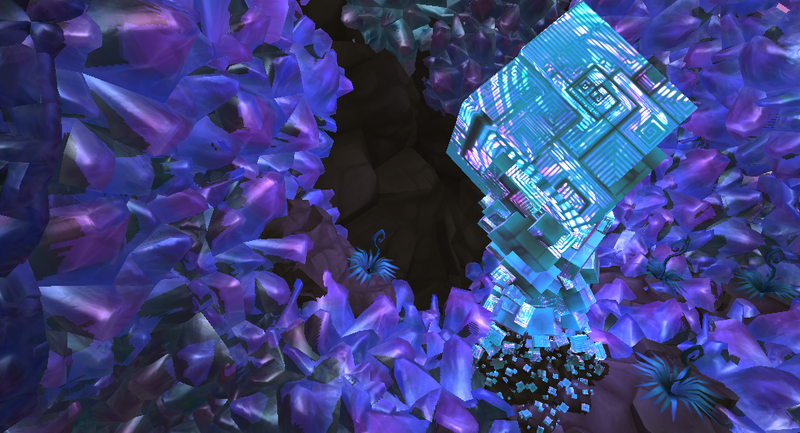 The Lumini have a strong connection with the energy crystals. The following environment takes away the safety you experienced during the previous environment. It’s a lot less inviting. It looks dry, rough, lifeless and predominantly dangerous. We won’t share too much about the narrative elements in this game, but we invite you to play Lumini when it’s on the market to find out what Lumini is all about! In our next blog, Dilay will talk about the concept art for Lumini, and what kinds of concept art we’ve got.